Mexico City’s metro is impeccable. 12 lines make up the city’s metro and connecting Metrobuses and trains allow riders to get just about anywhere. It’s one of the fastest ways to navigate the city and using it helps commuters avoid traffic. However, avoid using the metro during hora pico, or rush hour, which occurs each weekday roughly between 6am-9am and 6pm-9pm. At a cost of just 5 pesos, which is less than 30 American cents, taking the metro is certainly the cheapest way to get around. The exchange rate favors the United States dollar. One U.S. dollar is equivalent to nearly 20 pesos (as of October 30, 2017, according to www.xe.com). At that rate, one dollar will get an American much more than it will in the States, making dining, shopping, and traveling a much more affordable, not to mention enjoyable, experience. Keep in mind that the sign for the American dollar and the Mexican peso is the same, $. On the topic of money, just as it is in the States, tipping is a customary act in Mexico. Most Mexicans tip 10-15% though, rather than 20%+. Tipping is typically expected at any location where a server brings food, drinks, and the bill to a table. Street vendors and taxi drivers don’t require a tip, but it is still a kind gesture! In the States, the lunch hour begins at noon. In Mexico, la comida (lunch) hour begins at 2pm and can last until 4pm; in fact, some smaller restaurants may not even open until the start of the lunch hour. This is the main meal of the day and multiple courses are common. Consider packing snacks when leaving for the day so as to satisfy your hunger before lunch hour begins. Street vendors concoct fantastic quick-bites and drinks; anyone visiting the city would be remiss to not try a few of these local artisans’ creations. A general rule of thumb: stick to the vendors who work at clean, busy, and reputable stands. And don’t forget- watch the locals! Notice which stands the locals prefer and avoid the ones the locals dismiss. Just like the food, the drinks in Mexico City (and throughout all of Mexico) are just as unique and wonderful. 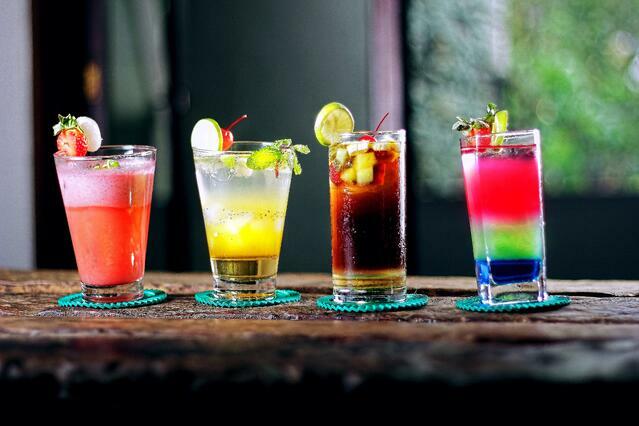 Venture out and sample some drinks in Mexico City’s bars and nightclubs that you can’t easily find in the States. Pro tip: sip, don’t shot the tequila, at least until you can gauge your body’s reaction to these foreign libations. And even then, you may receive some odd looks if you shot your tequila. The water in Mexico hosts different minerals and organisms than the water in other countries; thus, drinking tap water in Mexico could yield unruly results to an unsuspecting American. Avoid tap water and stick with bottled water. If you see a waste basket next to a public toilet, then you’re expected to deposit used toilet paper in the waste basket. While this isn’t main-stream throughout all of Mexico City, you may still stumble upon a public restroom with the TP trash cans and a sign requesting restroom-goers to toss the paper. Initially built by the Aztecs, Tenochtitlán was constructed on a man-made island in Lago de Texcoco (Texcoco Lake). When the Spaniards conquered the Aztecs and destroyed Tenochtitlán, the fallen empire underwent a massive transformation and became Mexico City. The water bed eventually dried as the Spaniards transformed canals and other water channels into roads and expanded the city over the lake. As is common sense today, a water bed and ruins of an ancient city don’t make the greatest base for a concrete jungle, as is proof in the fact that Mexico City is sinking. In the last 60 years, experts state that the metropolis has sunk at least 32 feet, as is apparent in ancient buildings’ sloping floors, a result of a sinking water table and an unstable base. If you’ve publicized your trip to Mexico City to friends and family, it has probably been reciprocated with worry and concern, as the misnomer that Mexico City is a dangerous, drug-laced warzone has permeated American belief. This simply isn’t the case. While there are areas to avoid in Mexico City, it’s no less safe than New York City or any other large United States metropolis. The second largest misnomer Americans believe about Mexico City is that it’s a hot and tropical city. While this may be true of Mexico’s beach towns and resorts, such as Cancun, it isn’t the case for the booming megacity. The climate in Mexico City is actually very mild, with temperatures ranging between 50 and 80 degrees Fahrenheit year round. Mornings are typically cooler, so most Mexicans dress in layers to combat fluctuating temperatures. The warmest month of the year is May, with the coldest month being January. Dress appropriately, and leave the shorts at home since temperatures rarely reach 86 degrees Fahrenheit (even in May). As a result, many apartment and commercial buildings lack central heating and cooling mechanisms. Large green circles and squares, with white arrows pointing in-words towards a singular, white dot can be found throughout Mexico City on sidewalks and even streets. These serve as emergency spots for people in nearby buildings to gather in the event of an earthquake or other emergency. The gathering markers came to be in 2002 when a series of safety regulations swept through the city. Because the location of these points is determined by building owners, and not the government, the size and location of these markers vary. In the event of an emergency, you’ll likely see citizens gathering at these markers; but be wise, if a meeting point is only a few feet away from a large building, you may be better off finding a safe-spot of your own. 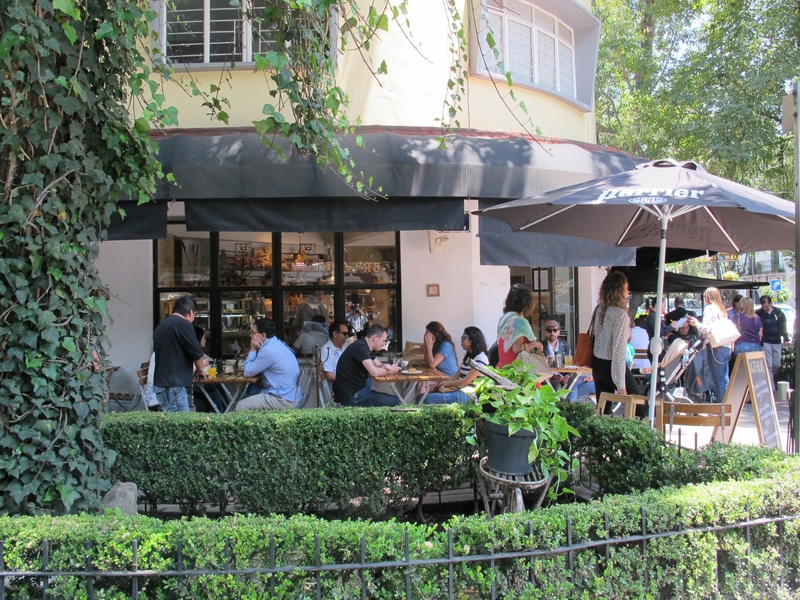 If you're travling to Mexico City, consider embarking on some exciting day trips from the city! 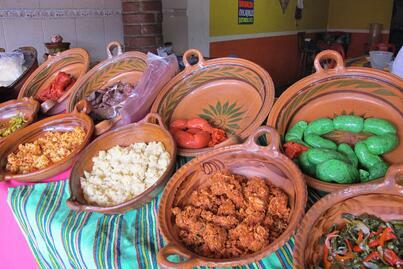 Interested in learning more about Mexico? Read this country's Destination Profile!